The One-Stop Spot for All Your Cooking Needs! You will notice that each recipe has words that have been highlighted within the recipe. These links generally take you to short videos that will help explain each technique you might need help with during the cooking process. The beauty of our recipes is you don’t have to click if you already know the technique! Each recipe has been tested by Chef Phil for accuracy and deliciousness! 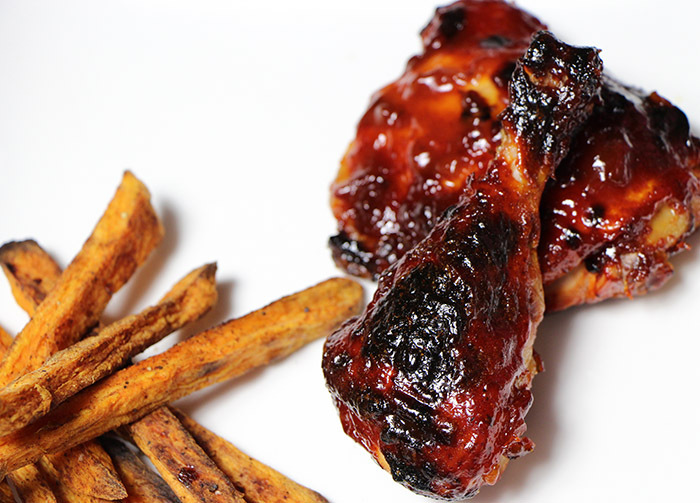 This barbecue chicken dish pairs very well with the sweet potato fries, smashed fried potatoes, and the sweet corn pudding. Always a hit at any barbecue we have!